Zumbo-S0038 BMF+undercut Factory wholesale car alloy wheels rim High Quality New Aluminum Alloy Wheel for Sport SVR 2017 17"
REP:742, M4 alloy wheels for BMW racing wheels staggered wheel,BMF wheels. RIZO Brand,BMF alloy wheels for car. Model # Size Offset PCD C. B Finish Remarks RS1 19x8.5 35 5-105 56.6 GML RS1 19x8.5 35 5-105 56.6 BMF RS1 19x8.5 35 5-108 73.1 GML RS1 19x8.5 35 5-108 73.1 BMF RS1 19x8.5 35 5-110 73.1 GML RS1 19x8.5 35 5-110 73.1 BMF RS1 19x8.5 35 5-112 73.1 GML RS1 19x8.5 35 5-112 73.1 BMF RS1 19x8.5 35 5-114.3 73.1 GML RS1 19x8.5 35 5-114.3 73.1 BMF RS1 19x8.5 35 5-115 70.3 GML RS1 19x8.5 35 5-115 70.3 BMF RS1 19x8.5 35 5-120 72.5 GML RS1 19x8.5 35 5-120 72.5 BMF RS1 19x9.5 35 5-105 56.6 GML RS1 19x9.5 35 5-105 56.6 BMF RS1 19x9.5 35 5-108 73.1 GML RS1 19x9.5 35 5-108 73.1 BMF RS1 19x9.5 35 5-110 73.1 GML RS1 19x9.5 35 5-110 73.1 BMF RS1 19x9.5 35 5-112 73.1 GML RS1 19x9.5 35 5-112 73.1 BMF RS1 19x9.5 35 5-114.3 73.1 GML RS1 19x9.5 35 5-114.3 73.1 BMF RS1 19x9.5 35 5-115 70.3 GML RS1 19x9.5 35 5-115 70.3 BMF RS1 19x9.5 35 5-120 72.5 GML RS1 19x9.5 35 5-120 72.5 BMF BMF=black machined face GML=gunmetal machined lip GML of RS1 BMF on RS1! 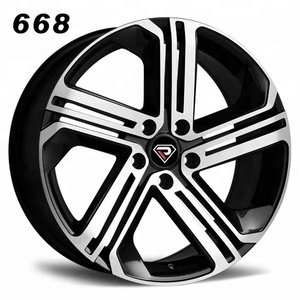 REP:763, 18/19inch wheels New designs 5-120/112, BMF. REP:750, i8 wheels for BMW, BMF. 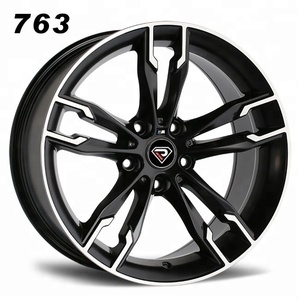 Own Brand design, New fashion staggered alloy wheels for Aftermarket. MR9. 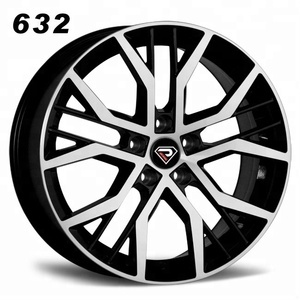 REP:627, Wheels of new RS6,BMF new in stock. Q2.How many stock wheels and molds do you have9 A:More than 18,000 wheels and hundreds of wheel molds we get. We'll show you the photos of the products and packages before you pay the balance. Q8.Can I buy one set wheels for my own car or resale9 A:We can sell one set wheels to you as long as we have in stock. REP:743, 5 performance wheels, BMF. Q3. What is your terms of payment9 A: T/T 40% as deposit, and 60% before delivery. We'll show you the photos of the products and packages before you pay the balance. Q7. Do you test all your goods before delivery9 A: Yes, we have 3 times 100% test before delivery. REP:752, i8 wheels for BMW, BMF. 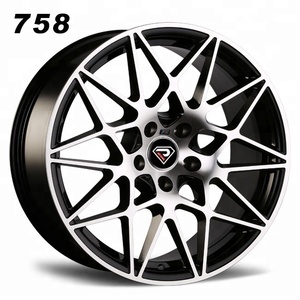 REP:632, New GTI alloy car wheels for VW Seat Skoda, BMF.